Jasmine, sandalwood & lavender. Pure essential oil blend. Pure & natural essential oils. Suitable for vegans.Cocoon your senses in the serenity with this blissful blend of Jasmine, Sandalwood & Lavender 100% natural pure essential oils. 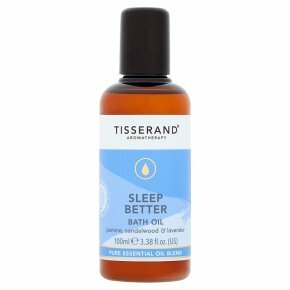 Sleep Better Ritual: Infuse a bath with 1 to 2 capfuls & swirl to disperse. Follow with Sleep Better Massage & Body Oil.